Disaster Restoration by 911 Restoration New Orleans is your best bet to a speedy recovery after thunderstorms, hail, or floods wash through your home. Our disaster restoration New Orleans crew is also capable of fire damage restoration, mold removal, and much more. We carry all the IICRC Certifications in order to provide your home with the best water damage restoration, smoke removal, and fungus abatement. We are a professional disaster restoration New Orleans company, and that shows when we make it a point to put the customer first. 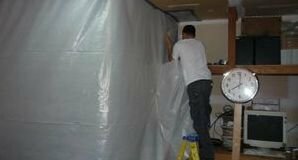 911 Restoration New Orleans is the best water cleanup company because we always put the customer first and when you view our testimonials you will discover that our water damage team is truly loved for our dedication to each and every homeowner. We offer a class of service next to none and with high quality comes an affordable price that will fit into any budget. Our 911 Restoration New Orleans professionals are working with all insurance companies to ensure your claim gets handled correctly and quickly. 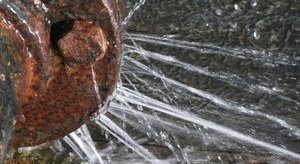 When a water heater leak destroys your carpets or your fire sprinklers go off in the middle of the night flooding your office, give our water damage restoration experts with 911 Restoration New Orleans a call right away and let our extensive range of services rescue your home from the perils of rot and decay today! New Orleans has a well-set roster of disasters, mainly dealing with rain, wind, and occasionally hail. These elements combine to create massive storm cells such as hurricanes and tornadoes. One tornado in 2007 reached 125mph winds, slinging hail through 326 houses, and decimating 55 of them. This tornado was only an EF-2, but still managed to cause $2 million in damages. Every building in its path suffered, but professional disaster restoration New Orleans services were able to repair those houses and make them homes once again. Our disaster restoration New Orleans experts will arrive within 45 minutes to scope the project and provide you with valuable information on how the damage will be undone. 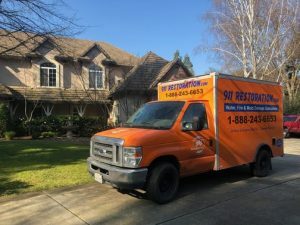 We are the fresh start company, so we are determined to provide you with a new beginning after property issues occur. No matter how tough the challenge is, 911 Restoration New Orleans is up to the task. With a can do attitude and a focus on our customers, we are your best choice for disaster repair, so call us today! Homeowners insurance covers many types of property disasters, but it is important for you to understand your specific policy to see how it applies for your specific situation. For instance, nearly all home fires are covered, yet only a handful of water incidents will be paid for by insurance. If you say or write incorrect information on your form, it could mean the difference between a fully funded repair and paying out of pocket. 911 Restoration New Orleans offers to file your clam for you to ensure your insurance company provides you with all the funds you deserve. Mold is an even trickier topic than water. If mold was a direct result of water that is covered under your insurance policy, then the insurance should pay for it. If the spores are preexisting, it is unlikely to be covered by insurance. If your property is already suffering from any form of liquid invasion, or any other kind of catastrophe, then contact our disaster restoration New Orleans specialists with 911 Restoration New Orleans for immediate relief today!